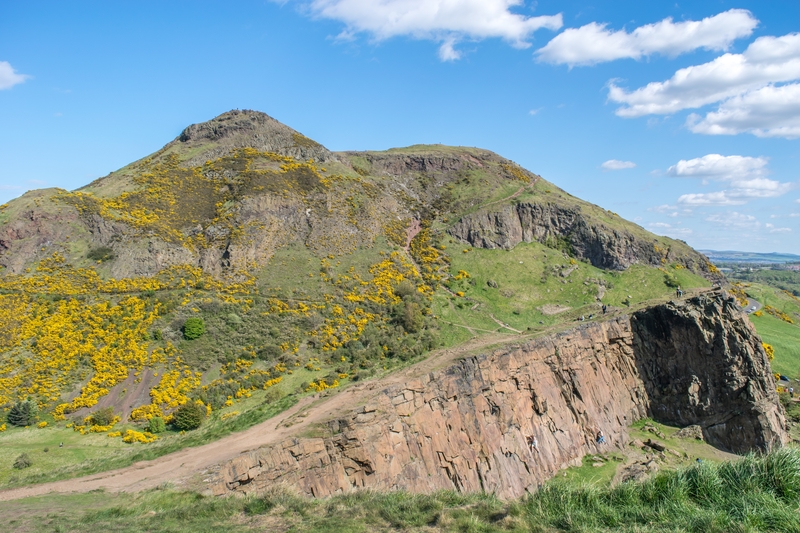 As soon as that amazing yellow ball in the sky appears, I'm drawn to Arthur's Seat like a moth to a flame. It's impressive aesthetics are further enhanced at this time of year, thanks to the wreath of vibrant gorse - even extinct volcanos have a summer style! 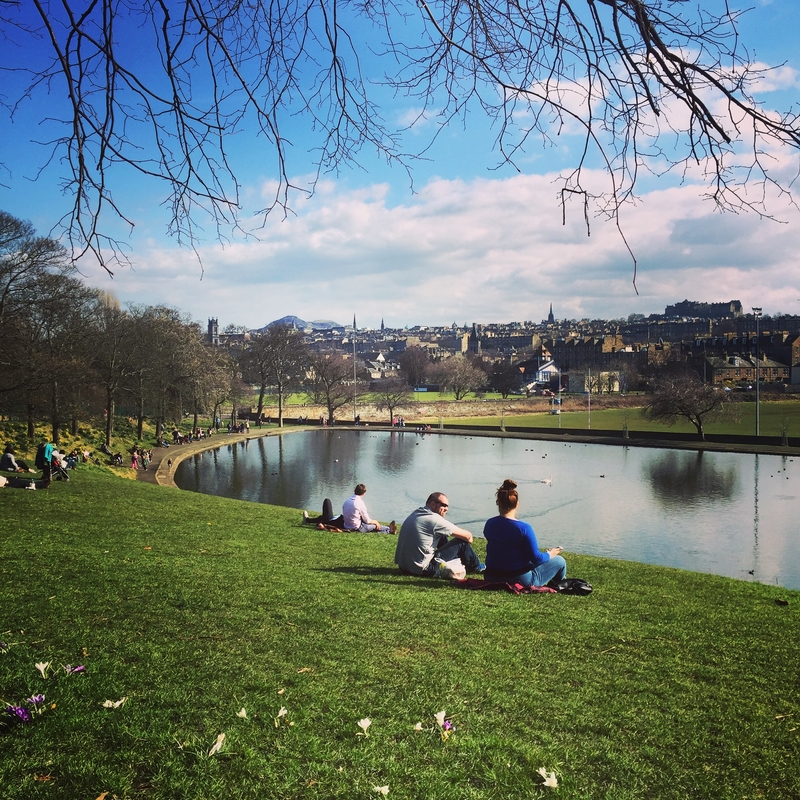 Where are your go-to green spaces when the sun shines in Edinburgh? 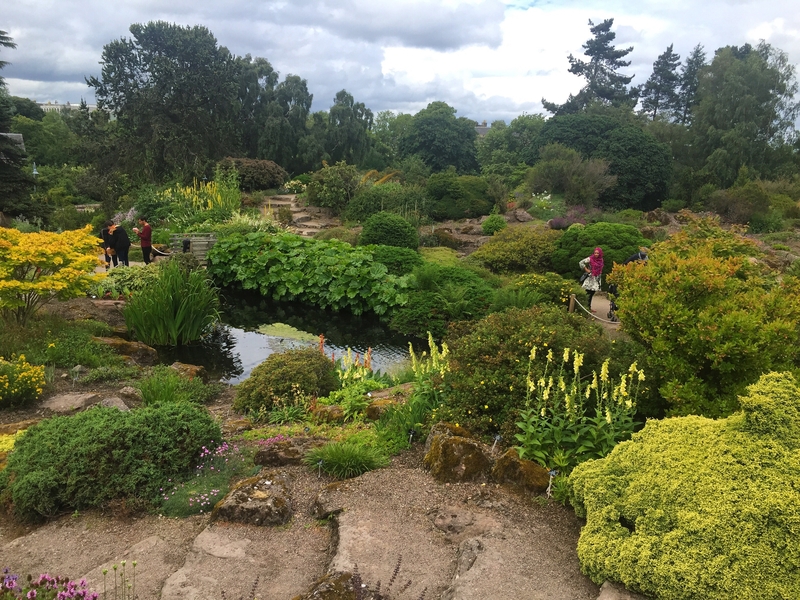 The Royal Botanic Garden Edinburgh offers visitors peace and tranquility across 72 acres of stunning scenery. Totally agree @TheChaoticScot. It's a great space and one I've not enjoyed on foot for far too long. And I love the diversity of it. 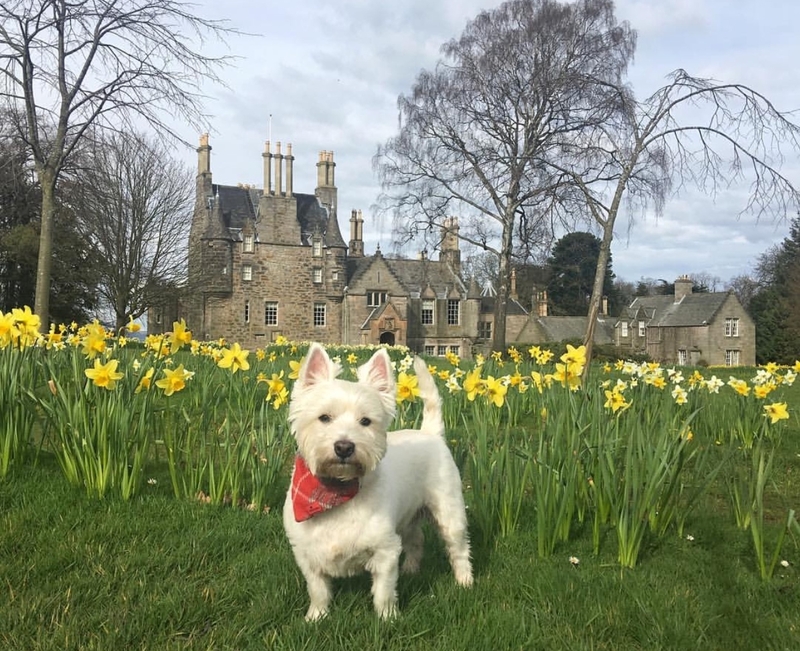 It is a totally different experience walking around the Palace and Parliament, to the challenge of Arthur's Seat and the peace and quiet of 'top road' in the park and Dunsapie Loch. The Meadows is an area of parkland just south of the Old Town. At this time of year it's full of cherry blossom, bongo players, jugglers and people having boozy picnics. A good place to watch the world go by. 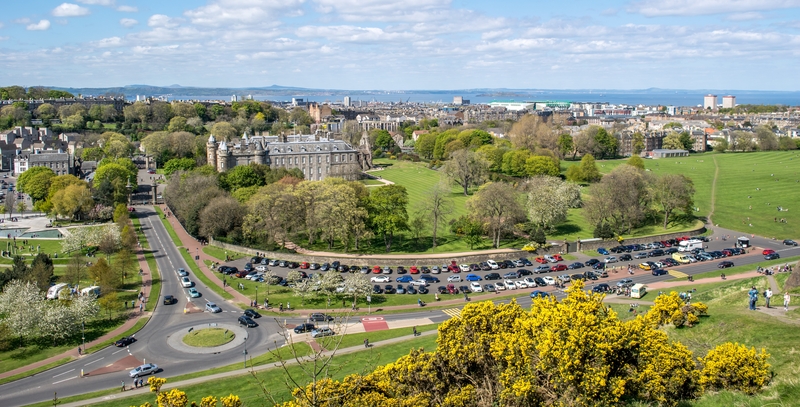 A bit further south west, cross the road, and you're in Bruntsfield Links, which has a mini golf course with great views back towards the castle. Calton Hill. 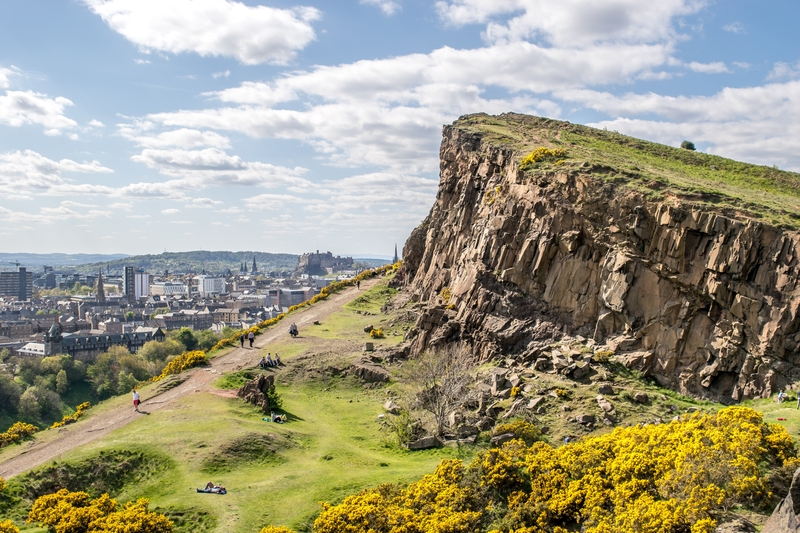 Only 5 minutes walk from Princes Street, and the views from the top are stunning. Because they ran out of money back in the 1820's and never completed the grandiose plans of creating an 'Athens of the North', Calton Hill was for decades known as 'Scotland's Disgrace', but if there is a more beautiful combination of green space and crazy historic monuments at the heart of a capital city, I have yet to find it. Incidentally, and to my shame, I had never been to the top of Nelson's Monument on Calton Hill, until only week. 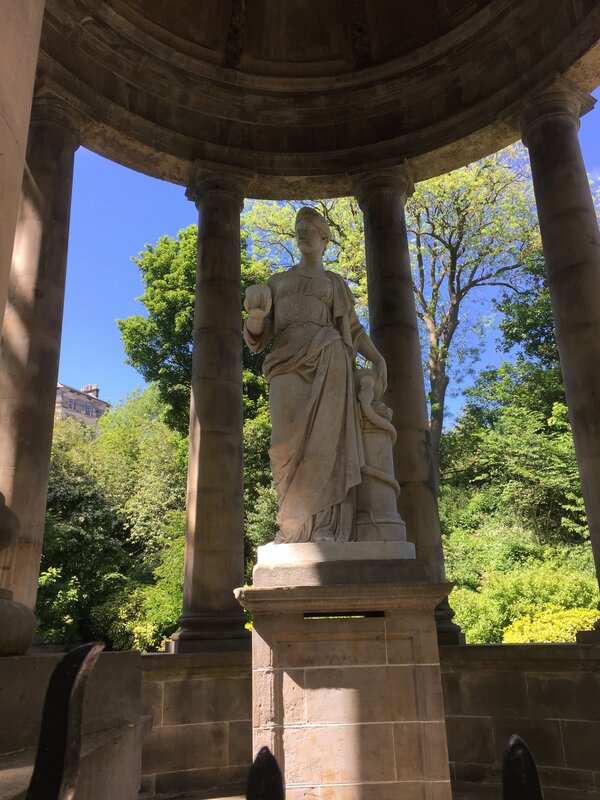 Wonderful panoramas of Edinburgh, and great to find out about the Time Ball at the top of the Monument, which first installed in 1853 has been telling the time in Edinburgh even longer than the One O' Clock Gun! I really need to go to the top of the monument too @VisitScotlandJohn - it's mad I've never been up either. Me and my camera will love it! Slight correction - it is the National Monument of Scotland that is/was Scotland's Disgrace, not the hill itself. 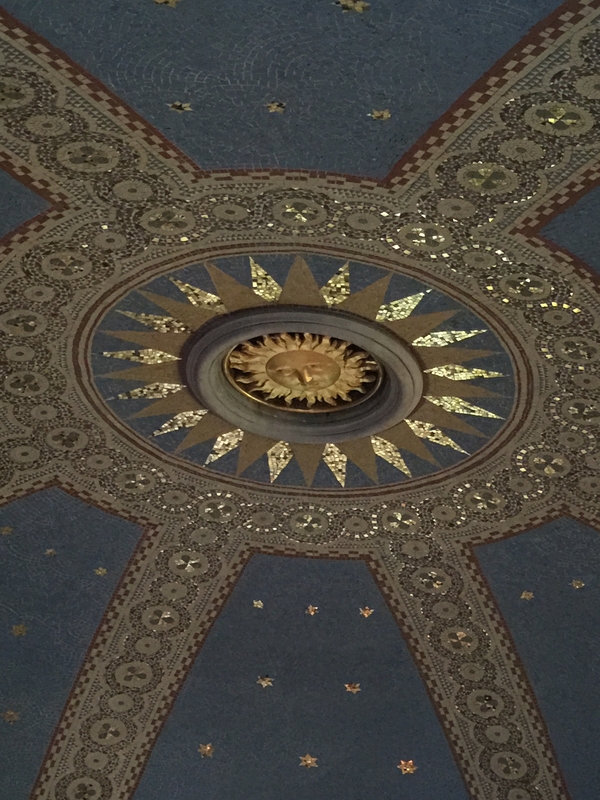 It was built to commemorate the Scottish dead in the Napoleonic Wars, but wasn't finished due to lack of funds. I do love Roslin Glen which is right next to Rosslyn Chapel. It's just a bus ride away on the local bus (number 37). It's quite a challenge in places but great for an afternoon trip. It has a fairytale feel and I almost expect to see a unicorn there one day. I am a big fan of Calton Hill and Holyrood Park. I once was having lunch in the middle of Holyrood Park when the Queen landed nearby in a helicopter and was whisked away by car to arrive at Holyrood Palace for her annual stay. My favourite Edinburgh green spots are luckily all in my own neighbourhood. The Cammo Estate is beautiful, a vast space of woodland, wildflower meadows, a walled secret garden all overgrown and mysterious and the ruined remains of an old stately home. I also love the grounds of Lauriston Castle. The Japanese Garden in full bloom is a colourfull and peaceful haven. The views across the Firth of Forth are some of Edinburgh's finest. Their new cafe opens this month too which gives me even more reason to visit. 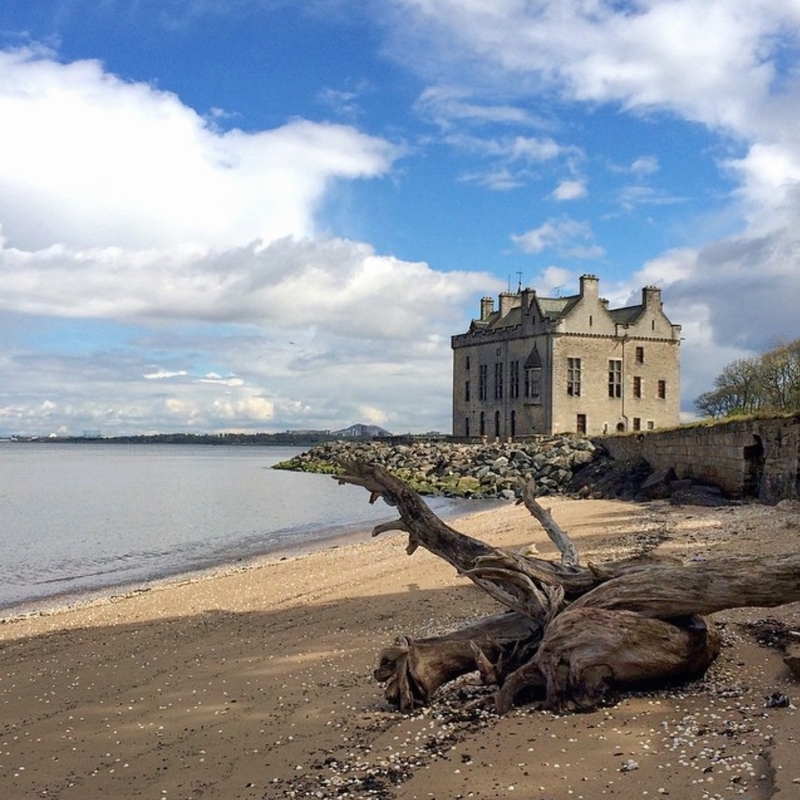 The Dalmeny estate is another favourite with lovely beaches, woodland and country lanes. Dalmeny House and nearby Barnbougle Castle. Historic gems. The estate makes an appearance in the movie the Little Vampire. 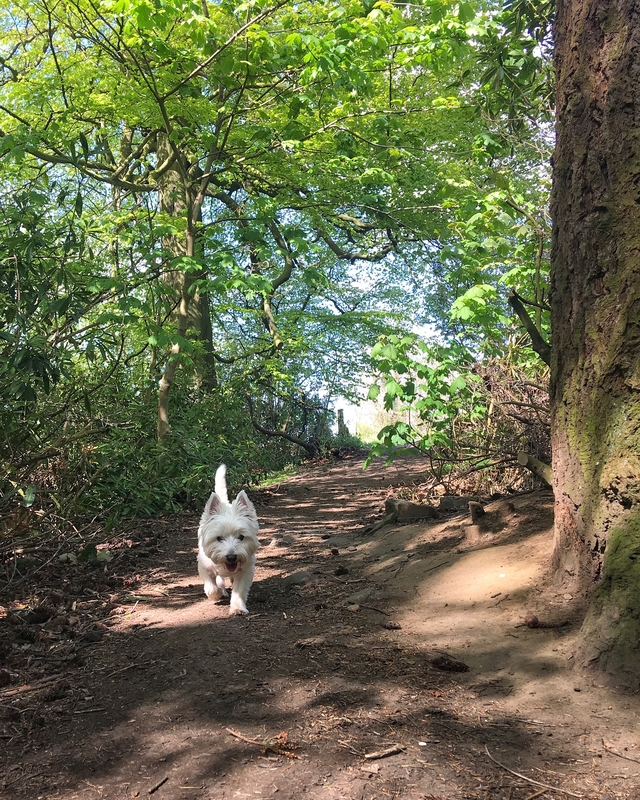 Finally Corstorphine Hill is lovely in summer when it's leafy. Lush green woodland and an amazing view of the city from the Rest & be thankful. There are some ancient cup and ring marked stones for the history buff amongst you. If you're really lucky you may even spot a zebra! No lie. Edinburgh Zoo sits on the hill and some of the walking paths on the hill take you by their back perimeter fence. Edinburgh has some amazing green spaces. 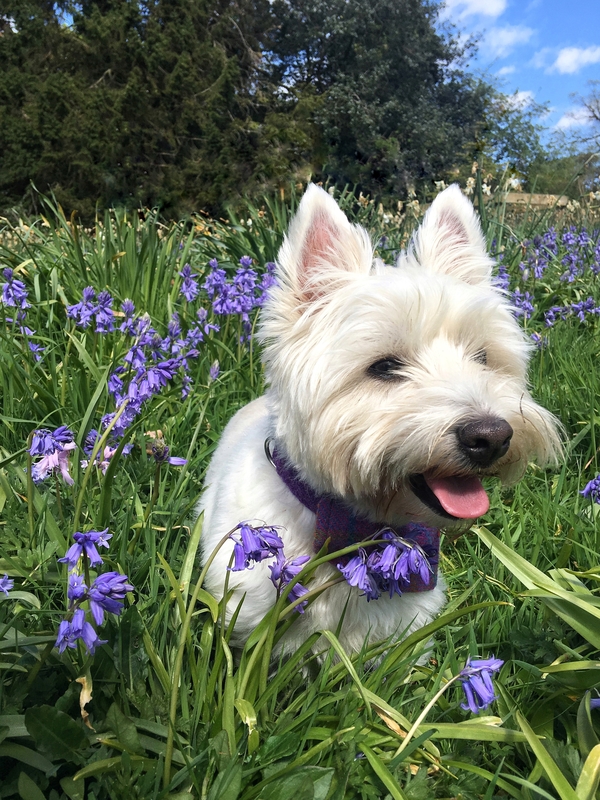 I'm partial to a wander around the Botanics and Inverleith Park, unless I'm feeling lazy - Leith Links is pretty much our garden. Water of Leith for me too! My favourite stretch is from the bridge at Cannonmills, near the Botanic Gardens, along to the Dean village. There's a waterfall, and several sculptures and follies along the way. Anthony Gormley created a series planted in various locations along the river. Dunbar's Close Garden in the Canongate section of the Royal Mile - entrance is just past Canongate Kirk and if you get to Clarinda's you've missed it! The Archivist's Garden at Register House - reached by going to the right at the entrance to New Register House. Unfortunately most of the Anthony Gormley statues are missing - only the one implanted in the tarmac outside the Scottish National Gallery of Modern Art One and the one at Ocean Terminal remain. Wonder where they are?